d. Only professional consultants and contractors with conservation accreditation and expertise will be appointed to deal with historic buildings. e. Any new development will preserve and enhance the setting of historic buildings and of open spaces and their amenity. i. Access for motor vehicles from Dalston Lane into, and parking in, Ashwin Street will be removed other than for those with disabilities. 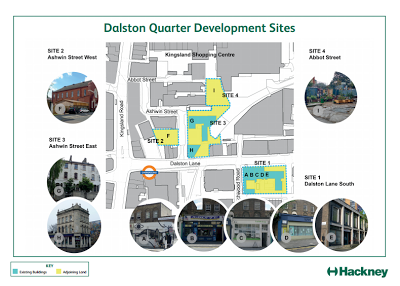 1.1 All four of the Cultural Quarter sites identified for development are owned by the Council and are strategic sites situated within the heart of Dalston’s town centre. The Council’s ownership of sites 1 and 4 is historic. It acquired part of site 3 (2-16 Ashwin Street, east) in 1984/5. The Council purchased Site 2 (1-7 Ashwin Street west), and the remainder of site 3 (the Railway Tavern/ Peace Mural site), in 2009 with the intention of controlling their development. The Council ownership includes the southern part of the Eastern Curve former railway line and the Kingsland Shopping Centre own the remainder. The Eastern Curve Garden extends across both landholdings and the Council owned part is included within development Site 3. The railway authority has released the Eastern Curve from safeguarding for future railway use. 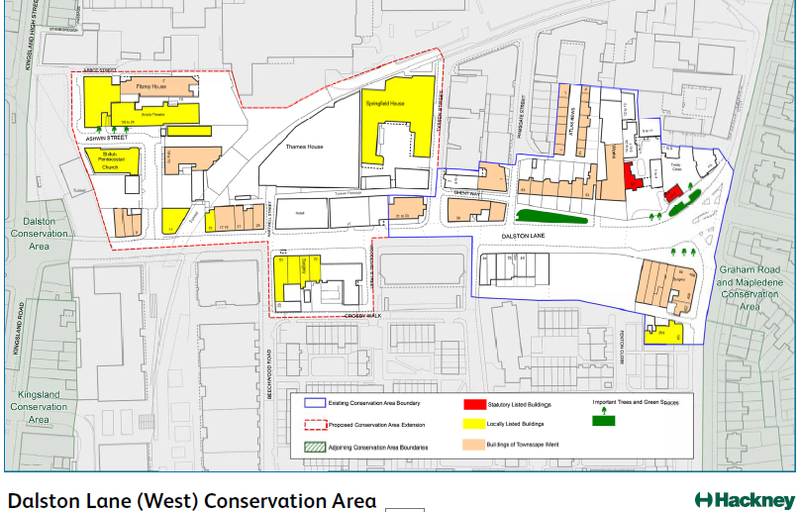 1.2 In November 2015, the Council’s Cabinet resolved to sell all four sites as a single "comprehensive development/refurbishment" package for "regeneration". It considered that this strategy would "maximise capital value and rental revenue for the Council.” The Council is not consulting the public on the merit of that resolution but only on its draft Development Principles which would shape how the four sites should be developed. Community organisations have commissioned the CAN Social Value report which illustrates the significant contributions which the charities, social enterprises and cultural entities occupying the existing land and buildings contribute to local well-being and the local economy. 2.2 For the reasons outlined below we consider that the Council’s three draft Principles for development of the sites would not achieve the Council land owner’s expressed strategic objectives nor its stated desire of “Championing the historic environment as a driver for regeneration”. The historic buildings on the sites are not presented as “a key element” for the regeneration of the area. Our concern is that the Council’s approach is one of maximising short term commercial benefits for itself by intensifying development of the sites whilst the extent of any necessary retention of historic elements is seen as an impediment to its objectives. 3.1 All four sites comprise land and buildings for inclusion within the extended boundary of the Dalston Lane (West) Conservation Area. 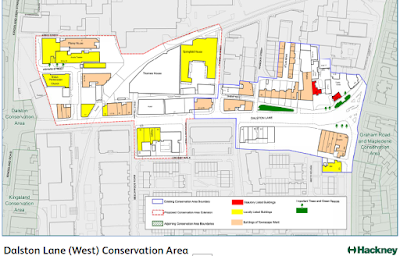 It is overarching planning policy that any development of those sites must preserve and enhance the character or appearance of the conservation area. (National Planning PolicyFramework 126 -141) This requirement applies to the conservation area’s environment generally and specifically to the land and buildings within it and to their settings. 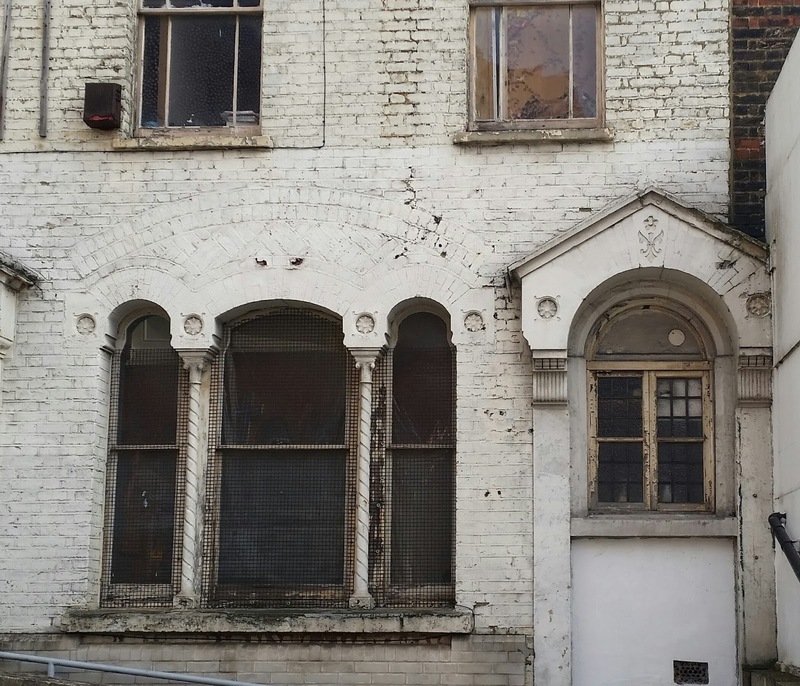 3.2 All of the buildings referred to below are identified as buildings of Townscape Merit in the Dalston Lane(West) Conservation Area Appraisal. All will be impacted, to a greater or lesser extent, by the development of one or more of the four sites. The Council’s planning policies Core Strategy Policy 25 and Development Management policy 28 commit it to strongly resisting development which alters or demolishes these buildings. 3.3 Several of the individual buildings which will be impacted are Locally Listed which the Council’s policy is to preserve and enhance. They comprise Reeves Artists’ Colour Works at 18-22 Ashwin Street, the Shiloh Pentecostal Church, the post-war industrial building at 16 Ashwin Street , Hackney Peace Carnival Mural at 15 Dalston Lane, The Railway Tavern at 11 Dalston Lane and the Georgian houses at 16-22 Dalston Lane. 3.4 In addition to those, there are several buildings of Townscape Merit which have been identified, in the April 2015 Allies and Morrison Heritage Assessment, as of particular historic value. 3.5 In addition to direct impact by any development of existing buildings, development will also impact on the settings of neighbouring buildings. Development of the CLR James Library on Site 1 will impact on the settings of its neighbouring Georgian houses at 16-22 Dalston Lane and, on the north side of Dalston Lane, the former Shannon factory, Springfield House, designed by Edwin Sachs in 1902-3 and the former 1900 Police Station and stables buildings at 39-41 Dalston Lane. The development of the Abbott Street car park on Site 4 will impact on the adjoining buildings at 10-16 Ashwin Street on site 3 and on the setting of Fitzroy House which is described in the Conservation Area Appraisal as “a good example of c1950 industrial architecture”. 3.6 We consider that all the buildings identified, and the Eastern Curve Garden, contribute to the character and appearance of the Conservation Area and have important elements of historic, architectural, aesthetic, communal and environmental value which are required to be preserved and enhanced. 3.7 In addition to the importance of conserving the character and identity of the built and natural environment , development will impact on existing occupiers and future uses of the buildings. 14-16 Ashwin Street is occupied by artists and others in the creative industries. The Council’s policy DM6 provides that “The Council will protect arts, culture and entertainment facilities by resisting their loss, unless a replacement facility is reprovided, or it is demonstrated that the facility is no longer required in its current use.” 16-22 Dalston Lane and 24-30 Dalston Lane (former CLR James library) are occupied by voluntary sector and social enterprises ( HCD and HCVS) to which similar protection is provided by policy DM5 which seeks to protect continuity of the necessary social and community provision which they provide. These houses are the last surviving pairs of Sheldrick’s 1790 Georgian houses on Dalston Lane. in Dalston of late Georgian houses”. They are locally listed. These houses were found by BS Initiative Limited to all be generally capable of repair, renovation and modernisation, at an estimated average cost of some £195,000 each, to bring them to contemporary standards in terms of services and layout and that, at additional cost, there is some scope for development by creation of additional storeys. BS Initiative advised that the cost effectiveness of a demolition and redevelopment scheme involving all four houses would be significantly reduced if their facades were retained. 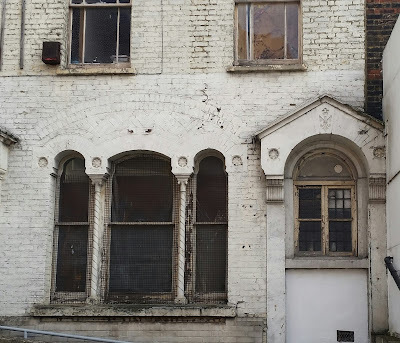 The survey by BS Initiative Limited states that “The overall condition of the building is fair” however the Council’s consultation document misleadingly describes it as “in poor condition”. This misdescription is likely to taint the public’s response to the options present for comment. BS Initiative also commented that, without complete demolition, there is “very little remaining development potential” save for the possibility of an additional floor and some development of the Courtyard. Allies and Morrison advised against overdevelopment which would dominate the frontage Georgian terrace. To the rear (east) of the houses is the late Victorian former factory of Tyler and Co.(1870 with later courtyard studios). Allies and Morrison describe the rear factory as of “HIGH historic value” but the Council’s consultation document misleadingly describes the rear factory as “of lower historical value” This misdescription is likely to taint the public’s opinion as to the value of retaining the rear factory building. Allies and Morrison describes this group of buildings overall as of “MEDIUM historic value” and state that “their demolition would harm the heritage significance of the area”. Regarding their condition, the rear buildings of 10-16 Ashwin Street were found by BS Initiative Limited to be in very poor condition and specifically the steel reinforced concrete structures. Those structures appear to be part of the later 1920s central Courtyard infill, linking the front houses and the rear factory building, and the later additions to the rear factory building. The 1920s additions were found by Allies and Morrison to be of LOW historical value. The removal, rather than repair, of the 1920s additions would therefore be of less significance and may in fact enhance the historic character of the group. Nevertheless the buildings in the group were found by BS Initiative Limited to be capable of repair, refurbishment and modernisation at an estimated cost of £689,500 to bring them to contemporary standards in terms of services and layout. The alternative, of demolition and redevelopment was found to incur significant cost and limit the opportunity to increase the number of floors if the facades were to be retained. Development of Ashwin Street began in 1868 and in 2018 it will have had 150 years of association with the arts. Allies and Morrison note 10-16 Ashwin Street's association with the arts confers communal and social value to the site. They are occupied currently by V22 artists' studios, and previously by Pyramid Arts and Triangle Music. The houses historic association with the arts began in 1870 when 10 Ashwin Street was occupied by the actors and variety entertainers Artists Agency of nationally known Harry Lynn and later by Kingston’s Diorama in 1884 and Lacey’s Diorama in 1895; 2 Ashwin Street was occupied by Houghton’s Musical and Dramatic Agency in 1888 and 5 Ashwin Street was ooccupied by Barnams Juvenile Minstrels in 1890. With former 1886 Dalston Coleseum, later becoming a Victorian Theatre of Varieties, at 14 Dalston Lane, the local area was and remains a cultural hub. We consider this group of buildings, other than the 1920s additions, have overall HIGH historic, aesthetic and communal value. 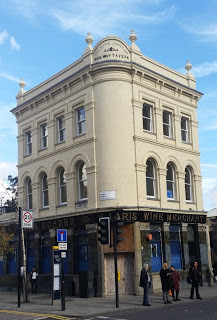 4.4 Railway Tavern at 11 Dalston Lane is on a prominent corner site with Ashwin Street. Allies and Morrison found the building to be of “LOW historical value”. BS Initiative Limited found it to be in poor condition externally and requiring modernisation internally at an estimated cost of £422,000. It is capable of having an additional floor and development of its rear courtyard at a further cost of £600,000. It was considered that demolition and redevelopment could provide a more cost effective solution which would provide for higher site density. Principle 1(b) states that heritage buildings “will sought to be retained or refurbished if possible” (sic). Given that all the buildings have been found by BS Initiative Limited to be capable of retention, at varying cost, this statement falls far short of the Council land owners’ strategy of “Striving for the sustainable re-use of historic buildings” and its recognition that its’ “responsibilities go far beyond a duty to preserve individual sites and buildings”. 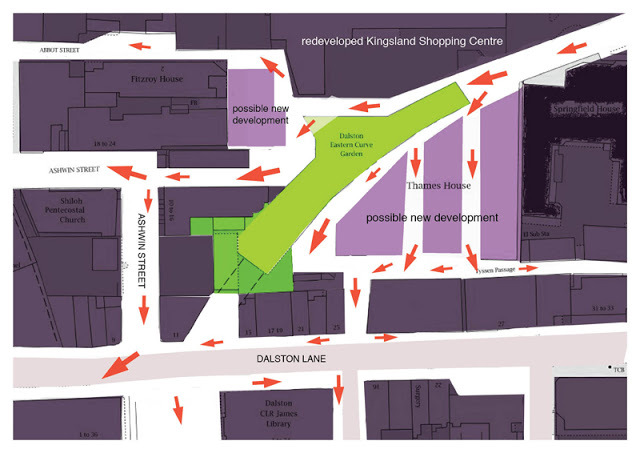 As described above, all buildings are within the proposed Dalston Lane (West) Conservation Area, all are buildings of Townscape Merit and many are locally listed. The Council land owner’s strategy identifies that “Safeguarding historic physical assets is a key element in the Council’s regeneration programme and is a proven and sustainable strategy.” The draft principle 1(b) fails to identify the heritage of the built environment as a driver for local regeneration. All development affecting those buildings or their settings are subject to NPPF 126-141 , which require development to retain and enhance the character of the area, and Council planning policies CS25 and DM28 which resists their alteration and demolition. The possibilities for retention in whole or part should be the subject of advice from experienced specialist heritage architects. a) The buildings are presently wholly used by charities, social and creative enterprises occupying affordable rented floor space. The Council’s stated objective is to provide “improved flexible floor space…. including some affordable floor space.” We consider that the Council’s objective should be to increase the extent of affordable workspace presently existing. b) Only 16-22 Dalston Lane presently has retail use but the Council’s objective is for “improved retail floor space with a range of unit sizes”. Imposing structural alterations, to create larger ground floor retail units, at 48-76 Dalston Lane contributed to the destruction of those Georgian houses and so a similar approach to 16-22 Dalston Lane should be resisted. We consider that, with the growth of internet shopping and Westfield close by, a “retail-led regeneration” approach is outdated and the long-standing vacancies in Dalston Square is testament too this. We consider that the Council’s notion of “reducing spend leakage by encouraging chain stores locally ” does not support local independent businesses or benefit the local economy but results in homogenization of the retail offer and the loss of local identity. We consider that investing in the enhancement of the areas’ cultural and horticultural identity will benefit the local economy more than the provision of additional or larger retail units. c) The Council’s proposal for the design for non-residential space refers to inclusion of higher ceiling heights, mezzanine floors etc. to provide “truly shared space”. It has produced no evidence base to underpin the likelihood of those outcomes. We would oppose redevelopment of the historic buildings by extensive structural alteration, and/or retention of their facades only, to create such spaces. d) The Council’s proposal is for introducing a range of residential tenure. Our preference is for homes affordable to those of local average incomes but consider that a proportion of market sale homes may be necessary to cross-subsidise refurbishment of the historic buildings and to maintain affordable workspace there. We consider that any residential development should not be in such close proximity to the Ashwin Street creative hub as to give rise to noise complaints by residents. a) This proposal seeks to encourage “shared space” and “spill out spaces” from the buildings fronting onto Ashwin Street. We oppose motor vehicles sharing space with pedestrians and consider that removal of parking spaces in Ashwin Street, and vehicle access from Dalston Lane (save for those with disabilities), should be considered. In addition we consider that, to minimize the risks to young, elderly and disabled people, there should be separate demarcation of any space for cyclists. The Eastern Curve land comprises open space which historically was covered by nurseries and fields and, from about 1865 until 1965, was used for a railway line and is now occupied in part by an enclosed public garden. It is overarching planning policy (NPPF 109- 125) that the natural environment should be conserved and enhanced by protecting and enhancing valued landscapes and by minimising impacts on biodiversity and providing net gains in biodiversity where possible. Green space may be designated as Local Green Space where it is in reasonably close proximity to the community it serves, where it demonstrably special to a local community and holds a particular local significance, and where the green area concerned is local in character (NPPF 76-78). The Garden meets these requirements for such designation. 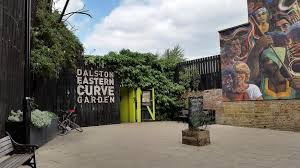 The Eastern Curve is included within the extended Dalston Lane (West) Conservation Area and the award winning Garden is described in the Conservation Area Appraisal as a “peaceful haven” and “an ever-changing community space, where plants, trees and grass contribute to a diverse ecology”. The Garden contributes to the character and appearance of the Conservation Area and overarching planning policy requires that any development must preserve and enhance the character of the conservation area. 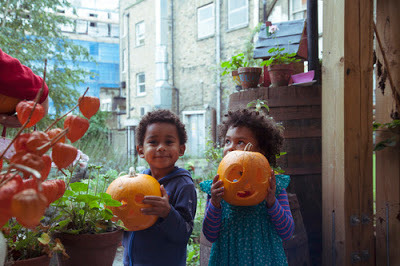 The Council's Local Development Management Plan refers to seeking “to improve, wherever possible, the quality of access to Hackney’s open spaces, and natural environment, for example the creation of … community gardens”. Its Core Strategy policy 26 seeks to protect open space and, under policy 27, it "will protect, conserve and enhance nature conservation areas, in particular in and around Dalston for their biodiversity value … Development will be encouraged to include measures that contribute to the borough's natural environment and biodiversity”. 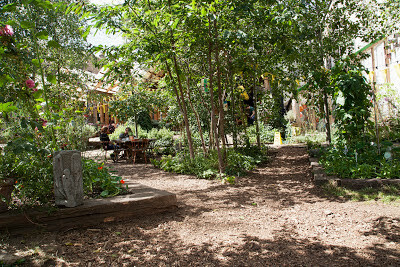 The southern part of the Garden, including its gateway from Dalston Lane, is owned by the Council and is included within development Site 3. The development of its Garden land and/or the development of adjoining buildings with uncontrolled “active frontages on to the space”, will damage the Garden’s existing character, appearance and its financial sustainability which is derived from its enclosed, secure and secluded character and by its careful and detailed management by a social enterprise with active community participation. In addition to being a resource for horticulture, bio-diversity and a leisure amenity the Garden provides educational, cultural and creative opportunities for its users. We consider that planning policies DM5 and DM6 are also relevant to the issues of development affecting the Garden. Furthermore the Garden attracts on average some 150,000 visitors annually which underpins its sustainability and is to the benefit of adjoining land, local employment and the local economy. 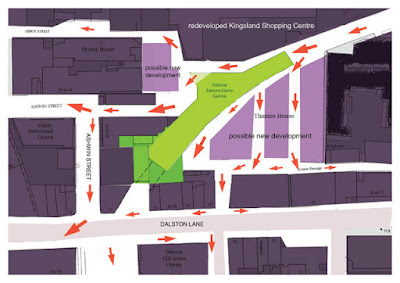 So far as it is necessary to enhance pedestrian movement around the Town Centre we consider the Dalston Quarter Development Principles should include consideration of the potential for development of adjoining sites, including Thames House and the Kingsland Shopping Centre, to increase pedestrian permeability without the need to open the Eastern Curve Garden as a public thoroughfare and to retain a degree of separation of the Garden from its surroundings. OPEN Dalston is an association of people who live or work in Dalston. OPEN is an acronym for Organisation for Promotion of Environmental Needs Limited. OPEN's objects are to promote excellence in the quality of the built environment, in the provision of transportation and amenities, and to ensure that changes to these have proper regard to the needs of residents and businesses and the maintenance of a sustainable residential and business community.